To mark the occasion of the canonization of Mother Teresa at Vatican City, special prayers will be held at Fatima Cathedral at 5.30pm. Belagavi bishop Rev Peter Machado along with priests, sisters and devotees will take part. Pope Francis will accord her the status of sainthood at a ceremony on Sunday in Rome. 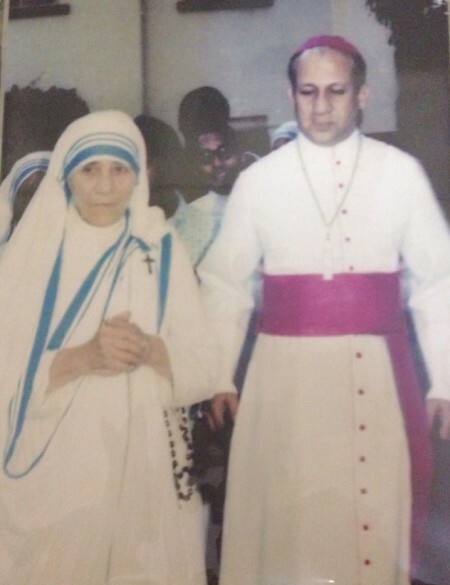 Bishop Peter Machado said that Christians all over the world will rejoice at this good tiding, as it is also a singular honour and privilege for the poor, whom Mother Teresa represented during her life time. “Mother Teresa’s advent to India as a missionary, and later her service at Kolkata are the off shoots of the many works rendered by her sisters throughout our nation today. She founded the missionaries of charity, which still continues her philanthropic work or aiding the destitute,” Bishop Peter said highlighting the services of the great saint.